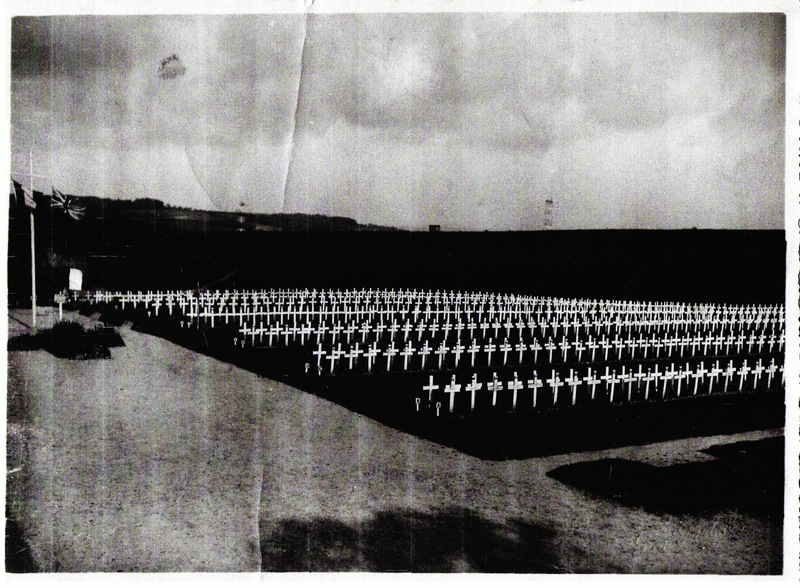 Below are images of the Canadian Cemetery in Dieppe in February of 1945. The pictures were shared by US Branch #25 member Ron Watkins. 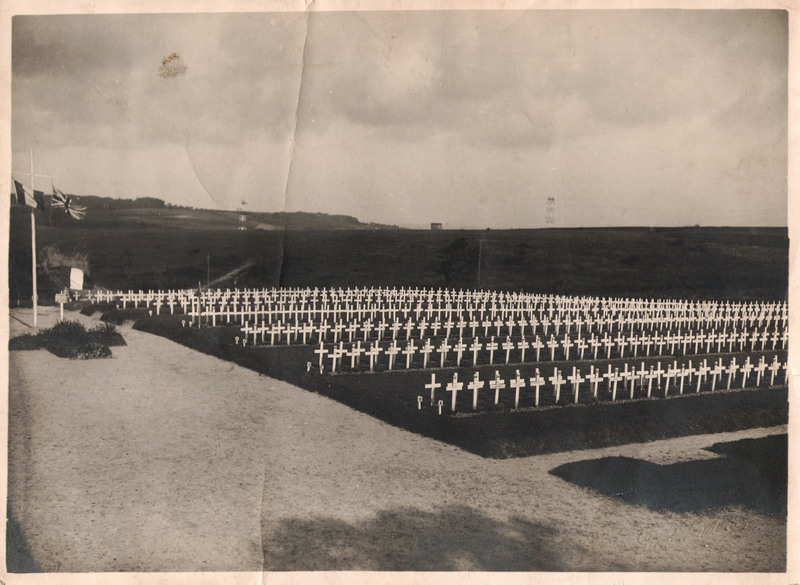 Written on the back: Canadian Military Cemetary / 3 Miles Outside “Dieppe” / Visited Saturday 1st Sep 1945. 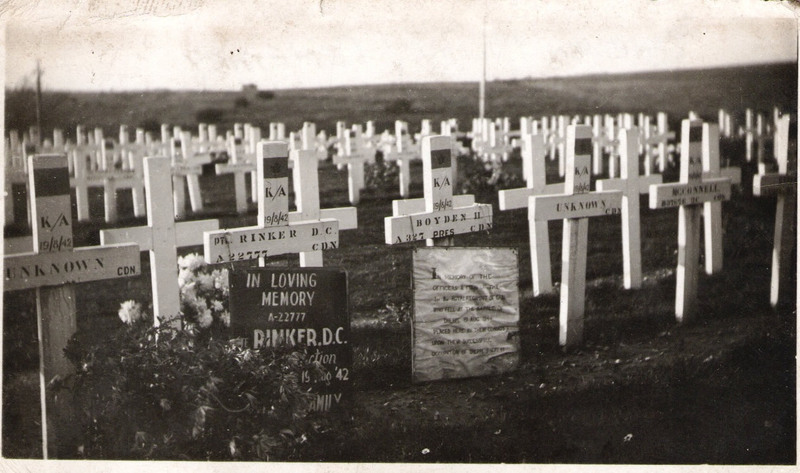 Written on the back: Canadian Military Cemetary / 3 Miles Outside “Dieppe.” / Visited Saturday 1st Sep 1945. This entry was posted in Dieppe and tagged Dieppe on March 19, 2018 by Michael K. Barbour. From the Legion Magazine on this, the anniversary of Dieppe. This year marks the 75th anniversary of the Dieppe Raid. The service and sacrifice of Canadians who fought there will never be forgotten. 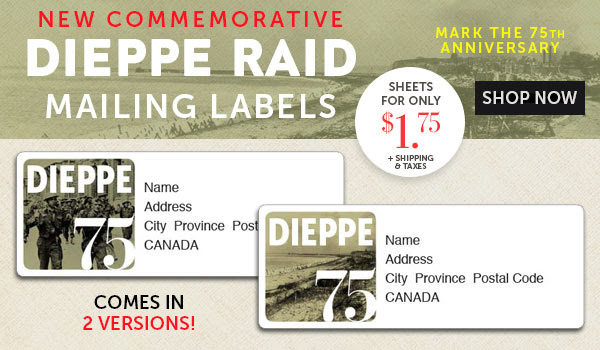 This year, mail all of your important envelopes with our 75th commemorative Dieppe Raid Mailing Labels, which come in two different versions and are available for only $1.75 for 30 labels. Click here to explore more. The disastrous Dieppe Raid of Aug. 19, 1942, is most commonly remembered by a grim statistic—the greatest one-day losses sustained by the Canadian Army during the Second World War. 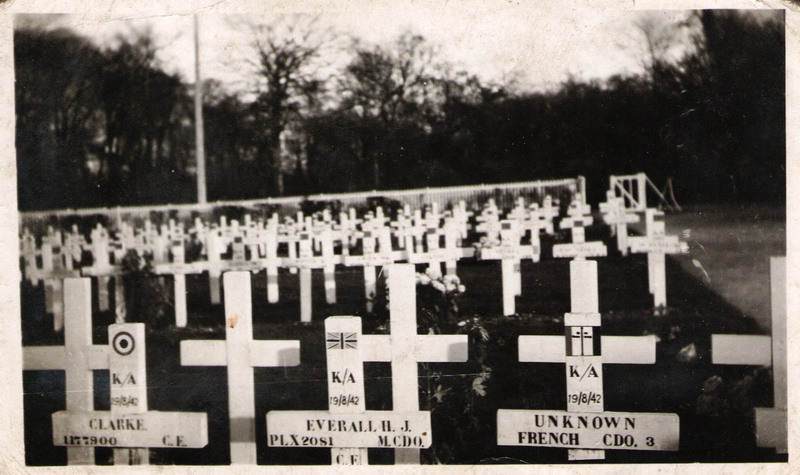 Of the almost 5,000 Canadian soldiers who took part in this ill-fated raid on occupied France, more than half became casualties. Sadly, a total of 916 Canadians would lose their lives. 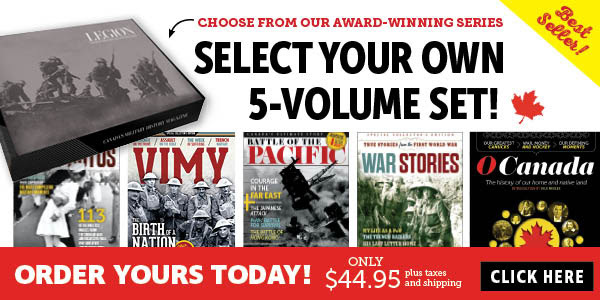 Click here to explore the Dieppe Raid with Legion Magazine’s Back Issue Classic from July/August 2012 for only $5.95. As Prime Minister of the United Kingdom during the Second World War, Churchill led Britain and inspired the Allied Forces to victory over Nazi Germany. Churchill is considered to be among the most influential Britons of all time. 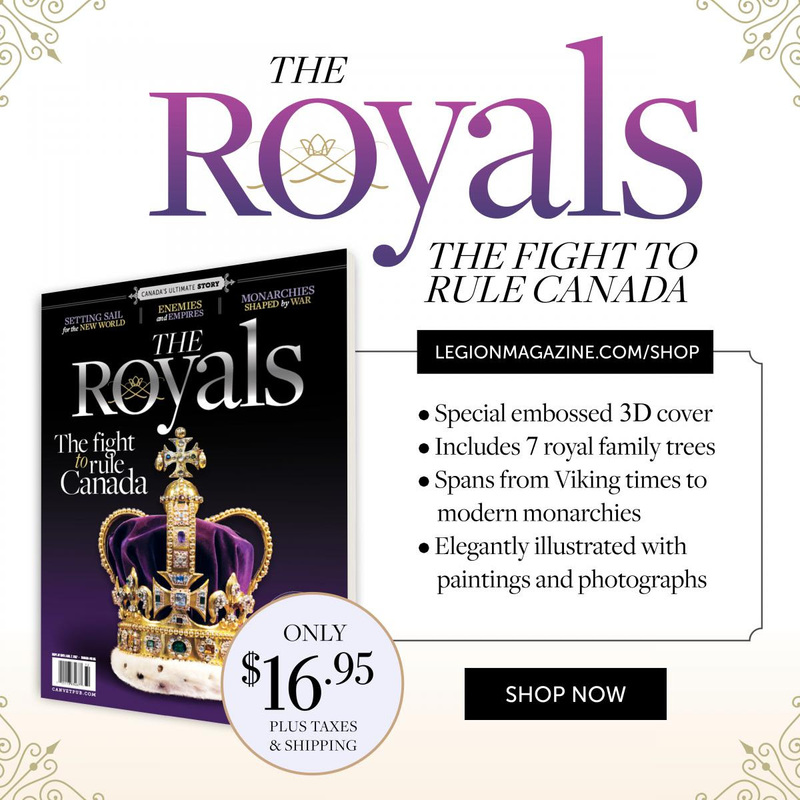 The Royals: The Fight to Rule Canada, a 100-page oversized premium issue. This entry was posted in Dieppe, Legion Magazine and tagged Dieppe, Legion Magazine on August 19, 2017 by Michael K. Barbour.